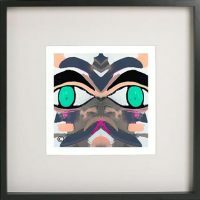 This Framed Modern Abstract Art Print by Artist Sarah Jane named “Beautiful Soul IX” will provide on trend interior styling for your home or office space. 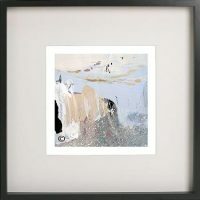 With gorgeous soft blue and grey colour tones, mixed with black and taupe this is a beautiful contemporary art that provides and calm peaceful energy. 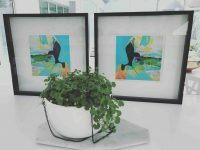 The contemporary frame comes in a choice of Black or White and compliments our Sarah Jane Art perfectly with its clean lines. 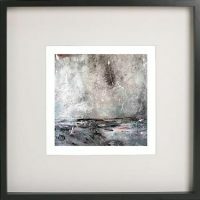 Best still given their size, 52cm x 52cm, this allows a singular Artwork By Sarah Jane to be hung in the smallest of spaces, but also gives you the flexibility to hang multiple framed artworks in pairs or even groups of 3, 4 or more. 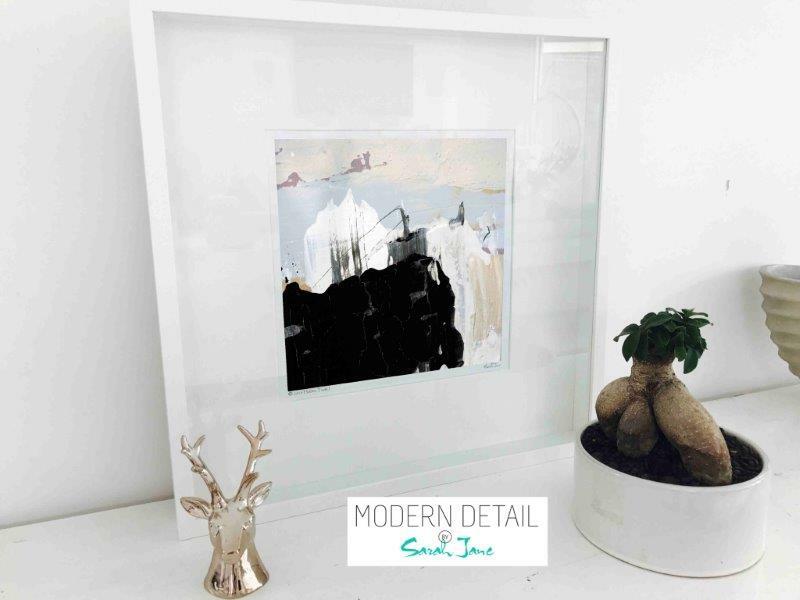 Our Sarah Jane Framed Prints are great for those that like a more formal look to their space whilst still providing a modern feel. For more information on this product please see the Description panel. Love this print but want to buy more than one Sarah Jane Framed Print. The good news is we have other similar prints in this style with similar colour tones. THE LARGE COPYRIGHT SYMBOL FEATURED IN PICTURE WILL BE REMOVED AT PRINT. SHADOW BOX FRAMED PRINT: Choose between a Black or White 52cm x 52cm Shadowbox Frame that has a depth of 45mm approx and a face of 15mm approx. 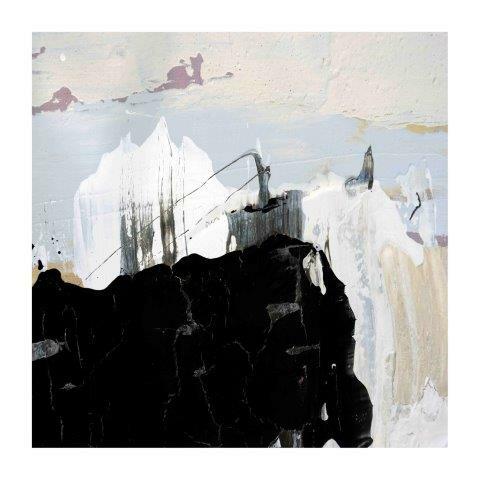 The image is printed onto Photographic Paper 30cm x 30cm and surrounded by a printed white border that contains the Artist’s logo and image information. An off white matt surrounds the print again which is mounted at the back of the shadow box frame providing an elegant and contemporary presentation of the artwork. 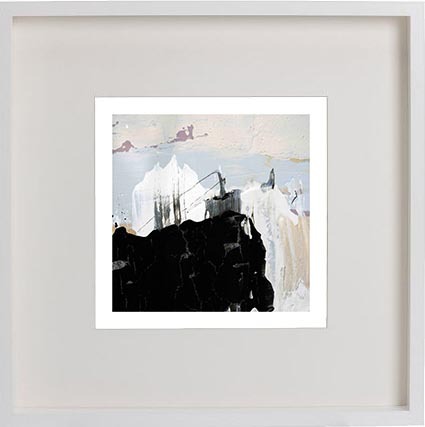 GLASS IN FRAMES NOT PERSPEX: To ensure our Artwork looks its best we use glass inside our frames not perspex. Glass provides a superior finish to perspex and is much easier to clean. We do however understand that some prefer perspex as glass can be fragile and break. Please contact us if you would prefer this and we can provide a custom order at the same price. 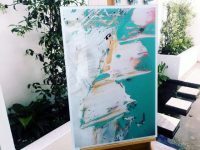 ALL IMAGES DISPLAYED ON THE WEB ARE FOR DISPLAY ONLY AND NOT TO SCALE. ANY WATERMARKS ON THE IMAGES WILL BE REMOVED AT FINAL PRINT AND A DISCREET COPYRIGHT NOTICE IMPRINTED.